Barrie Barton is the founder of Right Angle Studio and its current strategy and insights director. Since 2005 he has overseen the creative output of the studio and established its enviable reputation as one of the most progressive and effective ideas agencies in the country. Formally qualified as a lawyer but professionally motivated by civic improvement, Barton has applied himself to crafting remarkable strategies and creative ideas in multiple industry sectors. 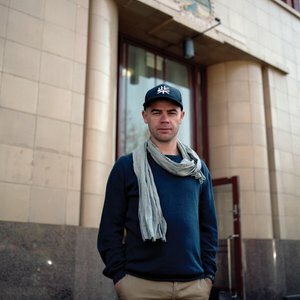 He founded Rooftop Cinema and Australia’s seminal online city guides The Thousands which Right Angle owns and operates and earned him acknowledgement in The Age Magazine’s Top 100 Most Influential Melburnians. He has also worked consistently alongside private enterprise, state and local government across a broad range of fields ranging from research and strategy to creative concept development and implementation. Barton’s intuitive understanding of human motivation sits at the core of his work. By understanding why people do what they do, his advice is always aimed at truly affecting the way people behave and creating better lifestyle experiences for them.